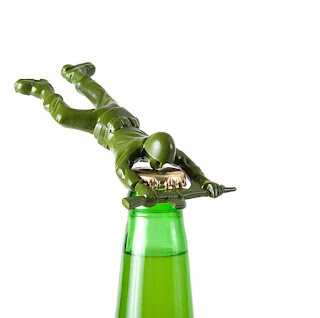 What do you think of this Army Man Bottle Opener? The Army Man Bottle Opener is made of genuine die-cast metal. It's a good looking replica of the traditional army men toys most guys grew up with. Makes a great gift idea for the hard-to-buy-for men in your life. BONUS QUESTION! Who has the best price? Usually it's the US Amazon site, but sometimes the UK or Canadian site has the best price!